Showing 8 articles from July 1, 2010. Mr. Charles "George" Northcutt, 80, died June 30, 2010. He was a native of Cannon County and had lived in McMinnville for the last fourteen years. His parents were the late Joe Loughry "Pete" Northcutt and Lera Mae (Tilford) Northcutt. On May 21, 2010 a Cannon woman pled guilty in Rutherford County Circuit Court to a charge of Theft Over $10,000. A multitude of new laws enacted by the Tennessee General Assembly this year went into effect today. Michael and Theresa Barbera, of Woodbury, received a new addition this week. 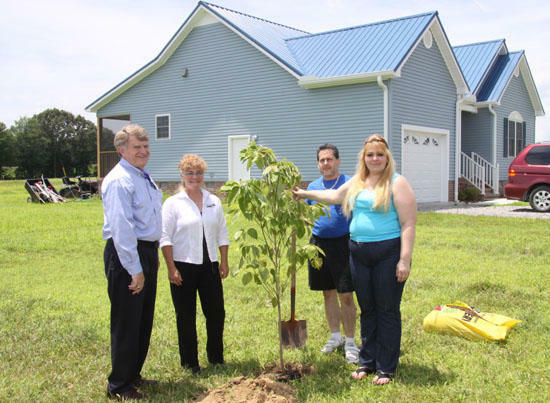 It didn't come in the form of a newborn, rather, it was the addition of a dogwood tree in their new front yard. SAVE would like to publicly thank our local County Commission Board. We are very grateful the commission understands the importance of protecting victims of domestic violence.